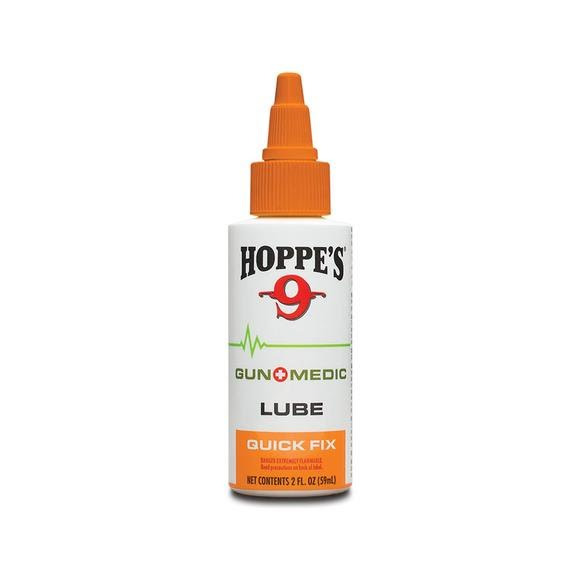 Hoppe's Gun Medic lubricant utilizes the same technology used in jet propulsion engines. This technologically-advanced lube coats your firearm micro-thin layer of lube to defend against wear and moisture. Hoppe&apos;s Gun Medic lubricant utilizes the same technology used in jet propulsion engines. This technologically-advanced lube coats your firearm micro-thin layer of lube to defend against wear and moisture.